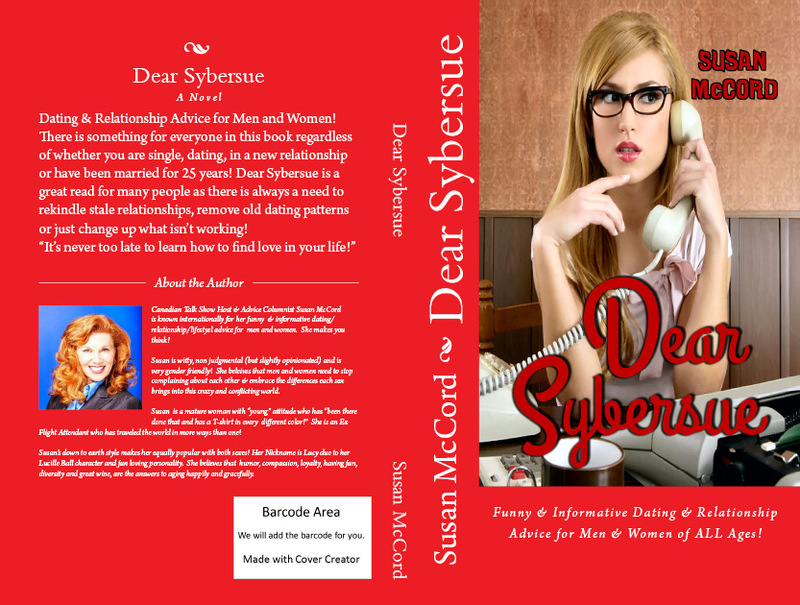 Susan McCord Aka Dear Sybersue, is a Dating/Relationship/Lifestyle Advice Show Host, Published Author, Certified Coach, Blogger & Advice Columnist. SYBERSUE is a mature woman with a young sassy attitude! She’s been there done that and has so many T-shirts she can seriously open a store! Susan started writing at 10 years old and hasn’t stopped since! She felt very lonely in her childhood despite growing up with 4 siblings. She learned how to put her thoughts on paper to deal with some of the emotional and self-esteem issues most young girls go through in their lives. Susan appears as a guest speaker at dating venues in the Vancouver area. She has appeared on CBC news, Toronto News Talk1010, Trying to Be Good Roundhouse Radio Show, North of 49TV, Sexat11 RogersTV Toronto, The Love Channel, The Lynda Steele Show CKNW, The Metro, 24 Hours Newspaper and The Vancouver Sun. Susan was recently named a VIP member of Worldwide Branding. This special distinction honors individuals who have shown exceptional commitment to achieving personal and professional success. Susan is so passionate about what she does that she left her long-term job as a flight attendant to pursue her talk show & advice column/blogging career full time. She also hosts a monthly (pro-bono) support group for women in Vancouver who are dealing with divorce, getting over hurtful breakups and self-esteem/confidence issues. 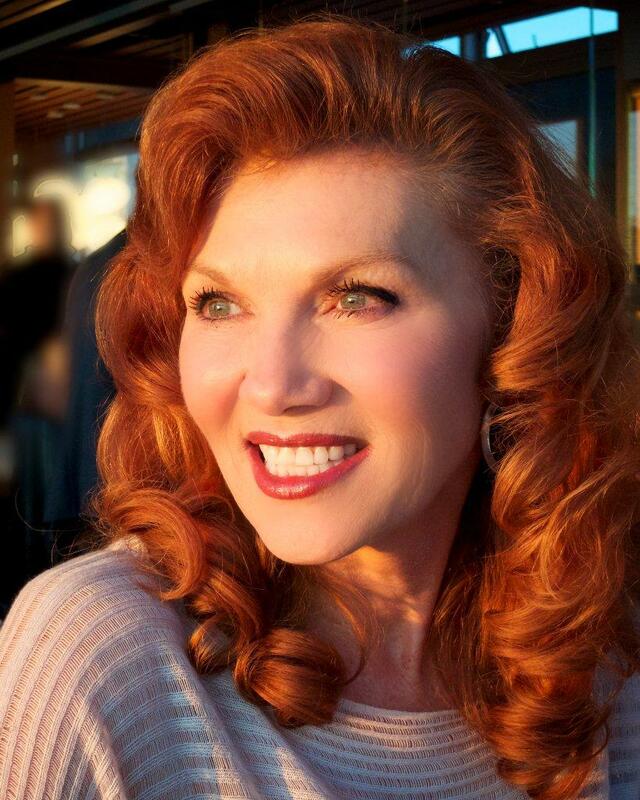 Susan has devoted her career to helping others find happiness. Over the past decade, she has established a stellar reputation as a sought-after dating & relationship expert. Susan has over 18,500 Followers on her Blog but is best known for hosting a lifestyle talk show for an International audience on YouTube. Her talk show, “Dear Sybersue,” has garnered almost 2 million views which consist of 400 uploaded videos. Susan has a no BS informative personality and also had a great sense of (sometimes warped) humor which she contributes to her show every Wednesday. Susan has established a large audience via social media & has received the acknowledgment from a number of professionals and celebrities. 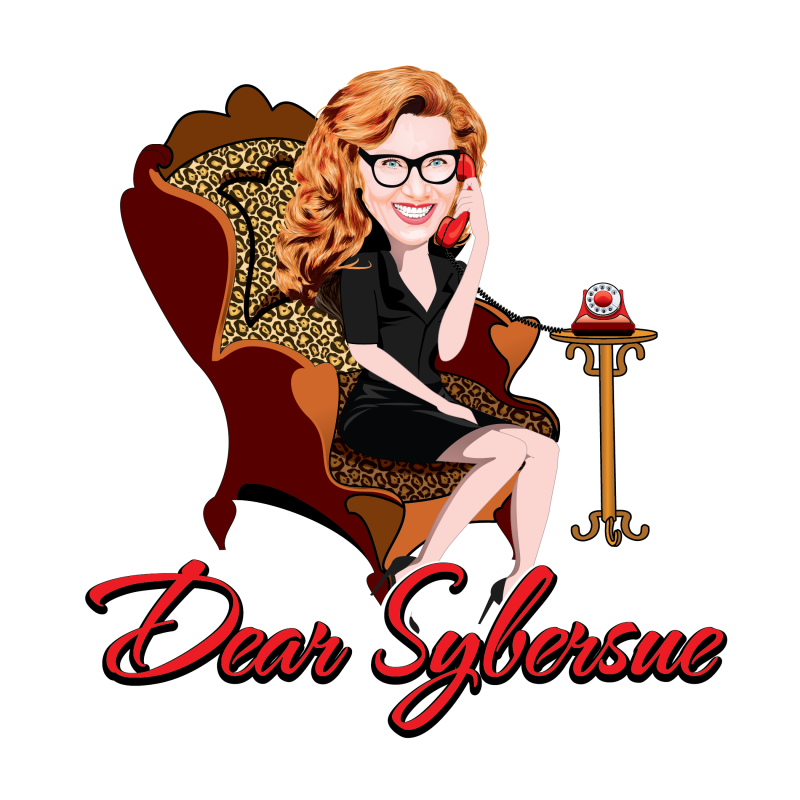 Susan regularly posts videos/blogs that can be viewed on sybersue.com, Twitter, Pinterest, Instagram, and her Facebook page. She is noted for being wise and informative while being simultaneously friendly, down-to-earth & witty! Susan has been told often that she is an “old soul!” She has been giving advice to others for many years and is excited to be able to transform her natural talent into a career. She plans to do as much as she can in the coming years in order to reach out and help an even larger audience find love and happiness. She is in the midst of writing her second book that is dedicated to single moms. Susan’s goal is to bring people together in a world that is still learning how to love and accept each other unconditionally. Sybersue is also a dating/relationship coach and is available via Skype sessions for or “in person” if you live around the Vancouver, Canada area. Prices and options are listed on her website. Susan Loves to hear from her viewers and always makes time to answer their comments! I just love what I do! I can’t wait to get going with whatever project I have for the day. Whether it is completing a blog post, editing a video, getting ready for an interview or working on a film set, I am motivated! I learn something new every day which makes me happy! I read a book a week on my ipad and change up my selections regularly. I have a very diverse selection of books in my e-library and enjoy numerous topics! I tend to go for non fiction but I also love a good romance novel every so often as well. I started writing in a diary/journal when I was 10 years old and then started writing poetry shortly after that. I really wanted to write lyrics for music and still hope to implement that into my crazy life one day soon. The first story I ever wrote was for a local contest about life as a single mother. I am a huge fan of fitness and make it a part of my daily ritual. I play golf, go to yoga 3 times per week, weight train 2-3 days per week, ride my spin bike at home and also get outside on my bike when the weather permits. I am also a very social woman and love to attend anything that allows me to meet new people. I am also a dating and relationship coach and see regular clients, I host a ladies meetup group, attend networking events and spend quality “girl time” with my friends. My husband is an avid cyclist which I support by cheering him on at most of his events. I also work in the film industry when I am not busy filming my own Advice Talk Show. Shantaram by Gregory Roberts The best book I have ever read! Captivating from beginning to end. What a story! A True Story Life Under the Veil by Jean Sasson : I have read everything Jean has written about women in the middle East. Her books are eye opening and should be read by everyone! A House in The Sky by Amanda Lindhout : A very real & terrifying ordeal about a Canadian woman held hostage in Somalia. The Kite Runner by Khalid Abdalla : I am drawn to stories about people from Afghanistan and the hard times they have had to face. Lets Pretend this Never Happened by Jenny Lawson: I like this book because of her humor and interesting writing style. I can relate to her as a blogger. I was fortunate to grow up in beautiful Vancouver, Canada. My childhood was the reason I started to write as it was not always an easy time at home. We all have a story that we learn and grow from which is what makes us interesting. No one escapes this learning curve and that is a good thing for the most part because it shapes who we are. This is a new chapter in my life which I am happy and very excited to be in! Why did you choose to become involved in the dating & relationship market? Since I was a young woman I have always been asked for advice from both men & women. It may be due to the fact that I grew up very fast and was independent at a very young age. I experienced a lot after moving out of the family home at 17 and then flying around the world as a flight attendant. Travel is one of the most valuable educations you can have! It teaches you so much about the way people live around the world. The one thing I noticed that we all have in common, (regardless of where we reside) is that we all want love in our lives. It is a universal language and should keep us all in a common bond, but unfortunately ego, power and control get in the way of a peaceful life for many people here on earth. I made a lot of my own mistakes regarding love and relationships and take ownership of how I dealt with much of it. I was married and divorced at an early age and raised my son alone for 19 years. Single motherhood is a huge eye opener and matures you quickly when you have someone else that relies on you as their life role model! Boy did I learn a ton! My son taught me what unconditional love was all about! I am blessed and grateful to have him in my life. I love him so much! Even the most successful men and women all deal with heartbreak at some time in their lives. There is always room for improvement within ourselves and a continual learning curve until we get it right. Regardless of each approaching birthday, our need for love never goes away and nor should it! I recently met a 73 year old woman who reconnected with an old boyfriend she dated when she was 23. They both lost their spouses in the last 5 years and are now happy traveling around the world and enjoying a romantic reunion like a couple of teenagers! What is your ultimate goal and have you had to face many obstacles as a “Mature” woman in your field? Ha Ha Ha Ha good question!! Yes, I have faced many difficulties with being a mature woman in this business. I could wallpaper my condo with all the emails I have sent out to people trying to get something happening in my business. Ageism is alive and well but I can slowly see it changing on the horizon. I will not give up in my pursuit because I know I have a valuable business model that can help many people find love, regain their self esteem and give all age groups a renewed faith in finding happiness. With each birthday comes wisdom (or so we hope) so why not open your heart by listening to someone who has walked the walk? Why are so many jobs advertised for the 18-35 demographic? I don’t get that. Innovative thinking is the key to success and a diverse lifestyle and that is what I promote in everything I write about, or talk about on my show. When we start treating each other as equals and appreciate what all people can bring into our lives, is when we open our eyes to what life really is all about. Everyone who crosses your path is there for a purpose, so look up, open your eyes and find out what that is. I don’t believe in coincidences, I believe in divine timing!